While I don’t hate the cold like some of my friends, I do have to admit the cancelling of school this week was a little annoying. 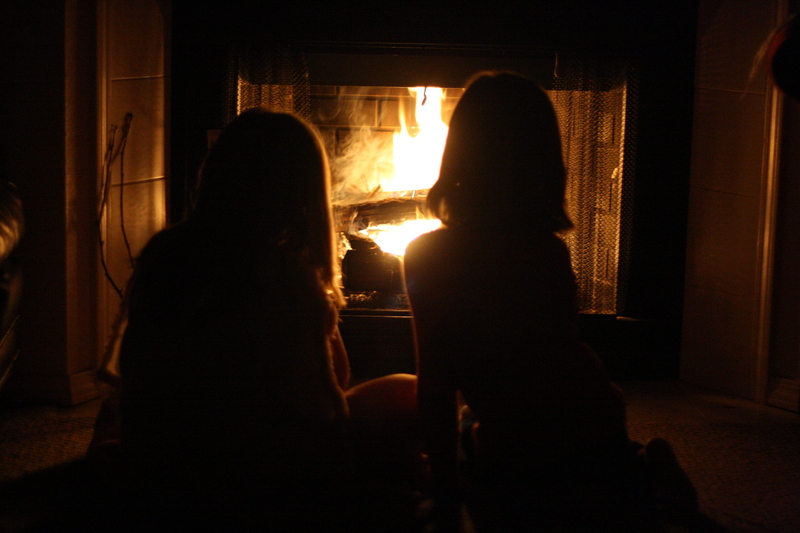 One great thing about the cold weather, though, is the great excuse to burn a nice fire. And when you have a nice fire, there has to be smores to go with it. Luckily, we got to share our smores this weekend with Addie, who claims that she has never had one before. We were more than happy to introduce her to our favorite fireside treat!! Such a cool picture!! And I agree, smores with a fire is a MUST!